Fortnite | Should You Buy V-Bucks? Learn more about Fortnite in-game currency V-Bucks, Battle Pass & Challenges, Item Shop, Skins, and Emotes! Premium items in Fortnite are purely aesthetic. Some you can buy outright while some are rewards and serve as visible badges of players' game achievements. 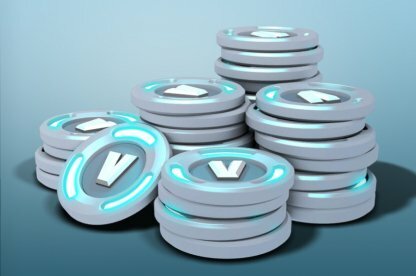 V-Bucks is Fortnite's in-game currency used for making in-game purchases such as Battle Pass, skins, and emotes. Click Store from the Top Menu to see available V-Bucks offers. 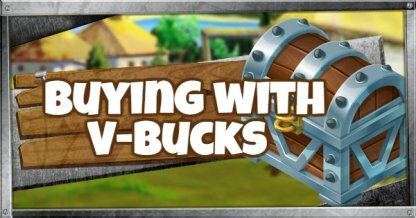 You can purchase V-Bucks mainly via Credit Card or Paypal account. You will receive a digital invoice through your account's e-mail address to confirm purchase. Modes of payment may vary depending on your location and currency. CAUTION: Please be careful not to share private information online and always secure your account details! Prices in V-Bucks may vary, depending on your location and platform. If you want to kick up your Fortnite experience several notches, the first thing you may want to consider purchasing is the Battle Pass for the current season. The Fortnite Battle Pass is a seasonal ticket that lasts until the end of the current Season. You can receive seasonal exclusive skins & emotes by playing the game and raising your Battle Pass tier! Be sure to purchase the battle pass for the season that you want because these items cannot be bought from the Item Shop in the future! Every Fortnite season has a theme that dictates the content's overall look! 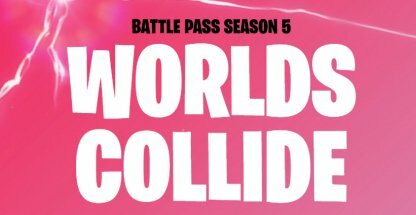 For season 5, the theme is "Worlds Collide"! It is also possible to purchase Battle Pass tiers. Access this option via the Battle Pass tab in the Top Menu. Get +120% Personal XP Boost and +40% max XP Boost to friends after unlocking all XP Bonus rewards. One tier costs 150 V-Bucks. 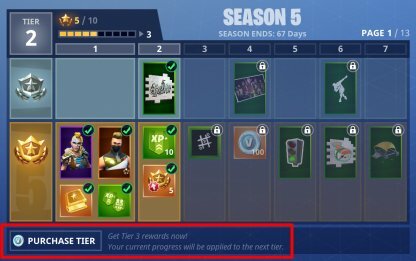 If you have extra V-Bucks, you can definitely spend them on tiers! Purchasing a Battle Pass unlocks more challenges for you to complete! 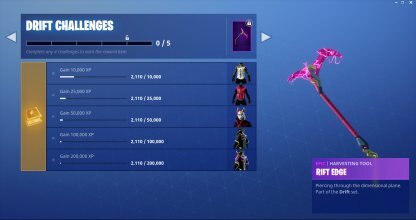 Completing challenges gives you Battle Stars that level up your Battle Pass tier. The key is to work on these challenges to unlock Battle Pass Season Tier rewards! Premium items in Fortnite do not affect gameplay or provide any battle advantages. The Item Shop has daily offers of Character Skins, Gliders, Pickaxe Skins, Emotes, and more. 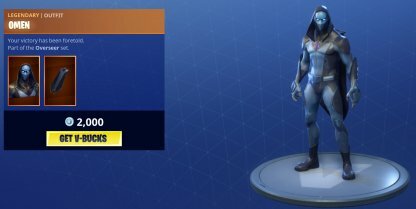 In Fortnite, you can purchase skins that can change your character's appearance! You can check the Item Shop (clickable from the Top Menu) everyday for new skins. You might find your favorite one! Pickaxe skins can also be customized! Customize your Glider to suit your style! 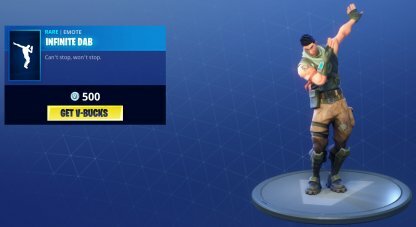 Aside from character skins, you can also purchase dances & emotes. Express yourself and have fun with your squad (or your enemies!!) with crazy dance moves and emotes!